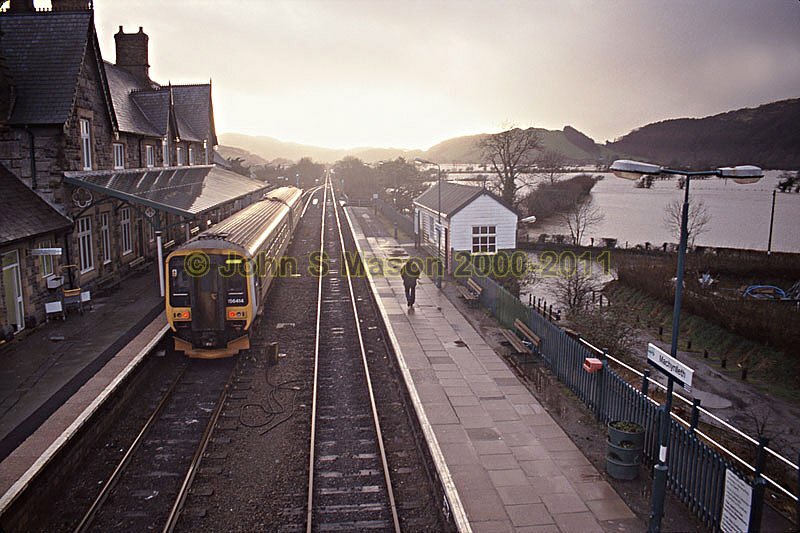 A virtually deserted Machynlleth railway-station as floodwaters cover the floor of the valley one winter afternoon. Product number 2000-2009172. Email me to enquire about this image: click HERE.